Do you yearn to experience a more sacred way of living? One where you’re living in alignment with Mother Earth, are more fully present with loved ones and see Spirit in all things? The path of shamanism puts us in sacred relationship with all of life, in which we’re fully connected to ourselves, our world and our greatest gifts. It’s a beautiful and powerful path for both personal and collective transformation. 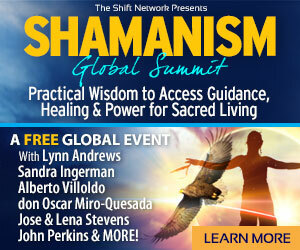 That’s why I’m delighted to tell you about The Shamanism Global Summit — a free online event presented by The Shift Network, taking place July 19-21. Join esteemed shamanic teachers and healers — including Lynn Andrews, Sandra Ingerman, Alberto Villoldo, don Oscar Miro-Quesada, Betsy Bergstrom, John Perkins, José Stevens with Lena Stevens, HeatherAsh Amara and others! They’ll be sharing practical wisdom for you to access guidance, healing and power for more sacred living. In The Shamanism Global Summit, these esteemed teachers and healers will unveil the practices of a shamanic way of being that is creative and intuitive, connected and life-affirming. 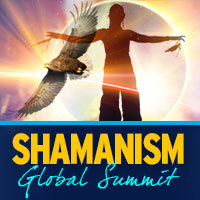 RSVP here for The Shamanism Global Summit — at no charge. I hope you’ll join me for this special event to receive deep insights, rituals and guidance for sacred living from some of the world’s most revered shamans and teachers of this ancient path. Register for The Shamanism Global Summit now — and discover practices that can provide what you are seeking next on your spiritual journey. Discover all the details & register here.